Your simple, lifesaving action today has the remarkable power to transform lives for many tomorrows. 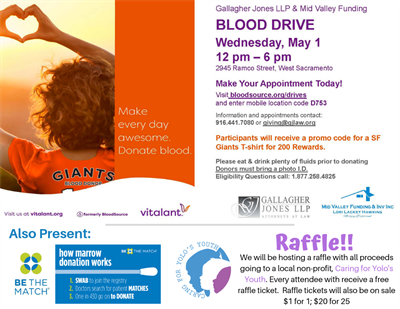 We are happy to announce that we will be having a blood drive on May 1st. Be the Match will also be there if you want to add yourself to the bone marrow registry. Save time and Schedule your Donation. 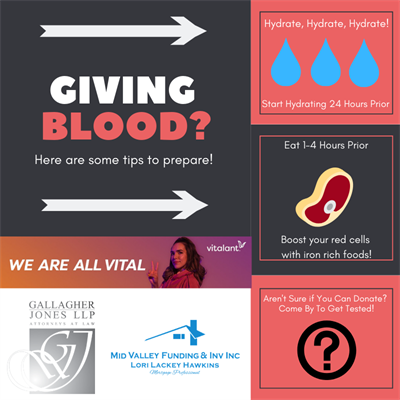 Click: www.bloodsource.org/drives and enter our mobile location code: D753. If you are interested in providing a raffle item or purchasing raffle tickets, let us know! May 1, 2019 12:00 p.m. - 6:00 p.m.